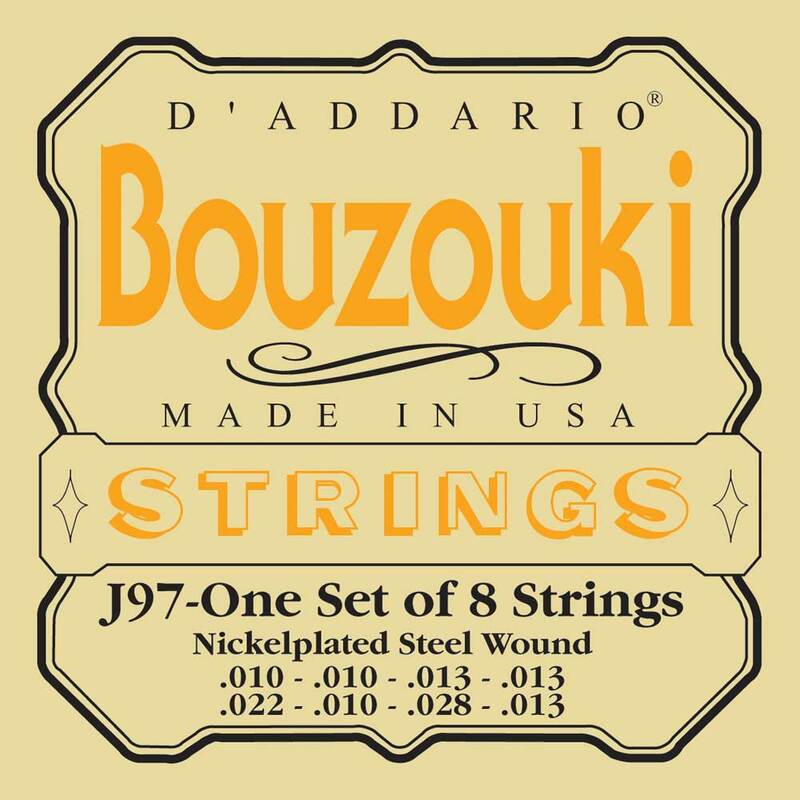 D'Addario's J97 designed for use with8-string Greek Bouzoukis of various scales. Distinctive bright tone and excellent intonation. The unwound strings are made from plain steel and the wound strings are nickelplated steel wound. The computer-controlled winding machinery, laser micrometer inspection, and closed-loop tension control systems promise unrivaled quality and consistency, set after set. Environmentally friendly, corrosion resistant packaging for strings that are always fresh. Made in the U.S.A. for the highest quality and performance.